Computer printer ink has created quite a stir in the world of technology solutions. As much as printer manufacturers pack their products with various features and technologies, the core benefit and use of a printer still lies in the computer printer ink. The quality of prints, which automatically carries over as the quality of the printer itself, is dependent on what type of ink is used. Many printers, even those boasting of great technologies, have failed to impress consumers with their final print outputs due to a weak ink system. What print ink factors are important ? 1.What Factors are Important in a Printer Ink? Computer printer inks can vary in many ways. The foremost factor, however, is the quality of the ink in printing and capturing exact colors. Aside from that, inks that are fade-resistant Fast printers should also use smudge-resistant, quick-drying inks so you can take your prints from the printer as soon as they come out. But the ink print quality is not the only important factor. The overall ink system also matters a lot. The ink system involves how the ink is used. For example, some printers use two types of black ink in a printer. The two black inks are used to capture various gradation levels of black and grey. Also, ink systems can vary based on the total number of inks used. Some printers are powered with six to eight-color inks, which can capture practically every hue possible. These multiple-ink printers usually capture the actual subject very precisely on print. 2.Which Ink Systems are the Best? In terms of ink systems, Canon boasts of their special ChromaLife inks, which can print long-lasting vibrant photos. This popular ink system is one of the best when it comes to printing photos that last a lifetime, and that’s because ChromaLife inks are designed to resist exposure to heat, humidity, light, and various atmospheric gases that turn most other photos printed using lesser ink systems into nothing more than faded memories. The ChromaLife ink guarantees that photos can last for 100 years when kept in an album. Your photos will also enjoy 10 years of resistance from atmospheric gases and 30 years of resistance from fading due to light exposure. This ink system also comes with a special, high-density black that provides a better contrast, which is key in creating more vibrant photos. Epson also takes pride in their exclusive DURABrite inks, which are special inks that have been proven to resist water, smudges, and fading. A lot of their Epson Stylus printers use this ink system such as the Epson Stylus T10, C90, C45, and the special Epson Stylus C67 with the DURABrite Ultra inks. Epson’s PictureMate PM270 also uses the impressive ink system. Another aspect that is considered part of the ink system is the print head and the nozzle technology used. In this aspect, Canon is undoubtedly a winner. Using the special FINE or Full-photolithography Inkjet Nozzle Engineering, technology, Canon printers print with very precise, microscopic nozzles which form an advanced print head system pioneered by Canon. The nozzles can produce ink droplets up to 1 picoliter in size, so you can just imagine how fine your prints will be when they come out. One classic example of a Canon printer that offers this special ink and print head technology is the Canon Pixma iP6600D, a photo printer that can bring your photos to life. These vary quite a bit and you want to check out your options before the purchase. A good option is sites where you can compare printer ink. For cheap printer ink, InkGuides.com is an excellent choice. There are many factors that affect the quality of a printer, but most users value the print quality the most. Excellent print quality can only be achieved with the use of special ink systems that allow vibrant printing, sharp and precise capture of colors, and the resilience of the prints against elements that can cause fading. If you think the print quality is the most important feature of a printer, you should look at its computer printer ink system. Printer Ink Replacement - How to Find a Replacement for Your Printer Ink Use - For printer ink replacement, make sure that you still go with the excellent quality of original inks.There are several companies that offer replacement inks, widely compatible ink cartridges, as well as ink refills. Hp Printer Ink : Quality Assured - An HP printer ink can be trusted for excellent quality prints that you can rely on for long-lasting photos and sharp outputs. Samsung Printer Ink - What and Where to Buy Your Printer Inks -A Samsung printer ink is a big part of what makes a Samsung printer the top-rating product that it is. Samsung inks are important part of Samsung’s success in the printer industry. Toner Cartridge - Find the Right Toner for Excellent and Efficient Laser Printing - A toner cartridge is the heart of a laser printer. Toner is a word that refers to a powder used by printers and photocopiers to render texts and images onto paper. In essence, it is basically carbon powder. 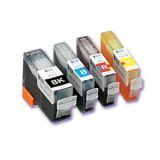 Ink Cartridges - You may also visit inkcartridges.uk.com for some nice deals on printer ink. allprinterreviews.com is my personal site. It accepts advertising and other forms of compensation but we do not receive nor do we accept free products to review them. Such compensation does not influence the information in this site. We always give our honest opinions, findings, beliefs, or experiences. Click here for more details about advertising and disclosures.